As a first pilot test will be broadcast on Sunday the match between International Madrid-Boadilla and UD San Sebastian de los Reyes. 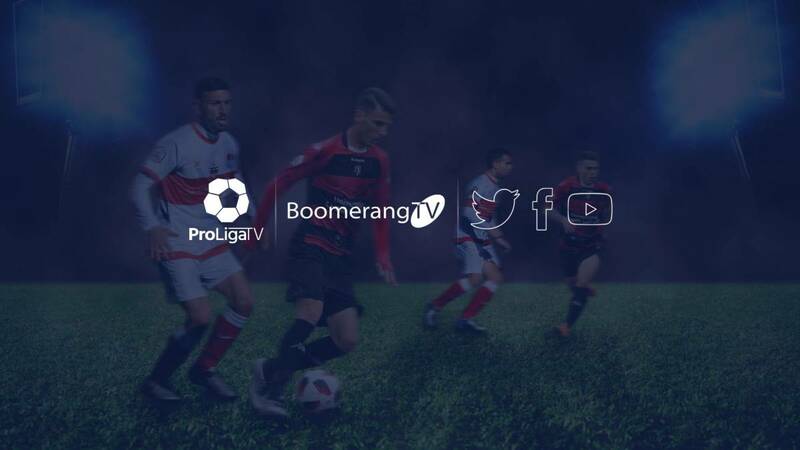 ProLiga and Boomerang TV have reached a collaboration agreement to carry out ambitious audiovisual projects, among which the open broadcast of Second League matches B stands out, with a wide deployment of technical and human resources to achieve high emissions. quality. In this sense, as a starting signal and as the first pilot test will be broadcast on Sunday the match that will play International Madrid-Boadilla and UD San Sebastian de los Reyes, corresponding to day 21 of Group I of 2ªB, to be held on next Sunday at 12:00 hours. ProLiga has placed its trust to start a new stage of audiovisual projects at the prestigious producer BTV Media, which among its best-known successes include broadcasts such as La Voz, Peking Express, Presumed Guilty or the Time between Sewing. The match International Madrid-Boadilla- UD San Sebastián de los Reyes will have a multi-channel diffusion, with ample deployment of technical means (five cameras, repetitions, infographics ...) and can be followed completely free live via Twitter, Facebook and Youtube. This pilot experience will have continuity during the current season with the League matches of the clubs affiliated with ProLiga, with the aim of outlining high quality broadcasts to offer fans a broad coverage in the next season 2019-2020 of the teams ProLiga. Also, during the next few days ProLiga will make a special follow-up of the pilot game through social networks.